Brittany and Austin have been dating about four years now, but were friends for a few years before. They recently bought, gutted, and rebuilt their first home. They are both big sports fans, spending a large part of their time together watching everything from horse races to hockey. With a dog and a cat at home, they are also huge animal lovers, and made sure to stop and say hi to every pup that walked past during their Saskatoon fall photo session! 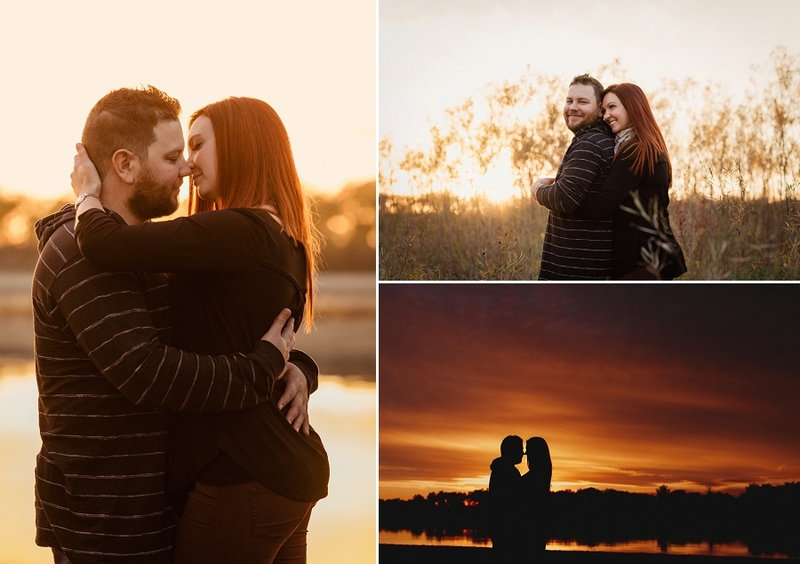 Brittany and Austin’s session was also the last of my 2017 Connection Sessions. I set out in May on a personal project to document the unique connections of couples in love. Not for any particular milestone or reason, but just because. I wanted to celebrate the love that matters every single day. Nine adventurous couples took me up on the offer. They were willing to open up, to laugh, to cry some happy tears, to snuggle and get really smushy in front of a complete stranger’s camera. I can’t thank you all enough for putting your trust in me, for not being afraid to be vulnerable even though you weren’t quite sure what you were getting into. Being able to let go of ‘the rules’, to not worry about perfection and to focus on capturing what truly matters has been a huge leap for me and my work. I thank you from the bottom of my heart for the valuable lessons you have all given me. 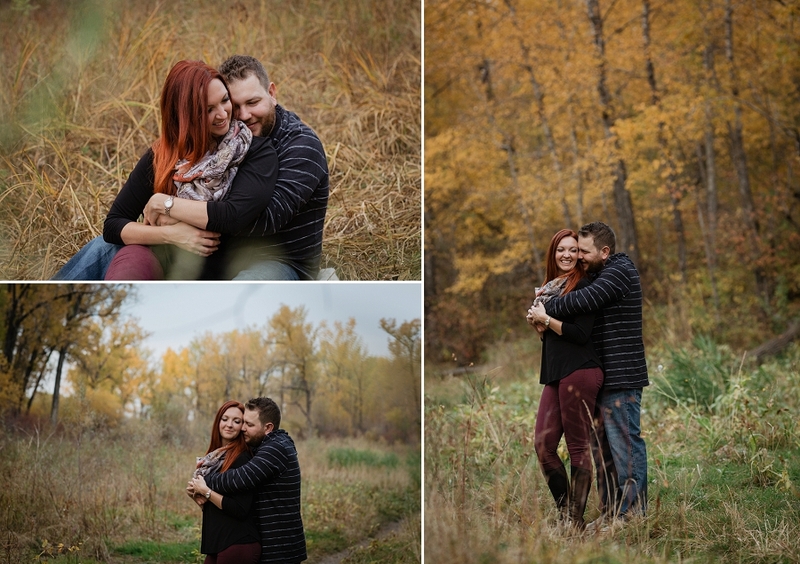 Saskatoon fall photo session by Copperblue Photography and Design. 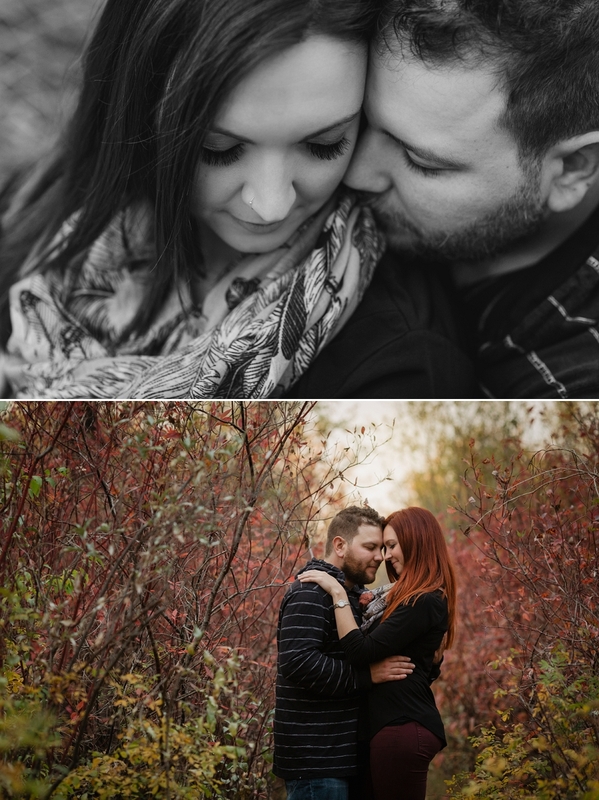 Saskatoon engagement and wedding photographer specializing in rural, farm, and outdoor weddings. Servicing Agar’s Corner, Circle H Ranch, Champetre County, Nostalgia Country Hall, The Glen at Crossmount, The Barn at Wind’s Edge, On the Farm Weddings, and other rural and lake wedding venues across Saskatchewan. this couple is so beautiful! 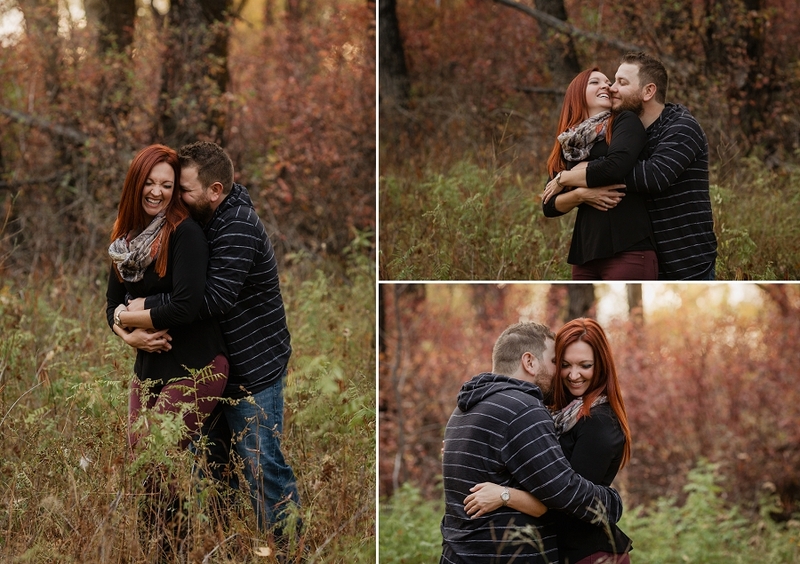 what a great session to celebrate their love. Thank you Allie! They were so sweet together! Your connection sessions were all so perfect! I love the red leaves in this one, and how you finished off with the most beautiful silhouette! Thanks Jenn! I really enjoyed doing them! gorgeous photos, i love your connection sessions! Thank you Michelle! They are so fun to do! What an absolutely gorgeous session! I love all of the vibrant fall colors and that last sunset silhouette is just stunning! Thanks so much Amanda! Such a lovely evening for fall photos! Simply GORGEOUS!!! I can feel the love between them! How beautiful is that sunset! Gorgeous session!! Gotta love a good Saskatchewan sunset! Thanks Rose!